A successful family is basically a happy family where things naturally work together and are seen by outsiders as a perfect. This is the dream of everyone. 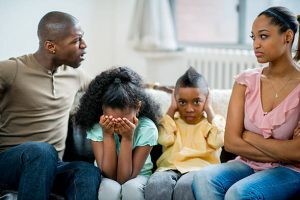 The dream of everyone is to have a family void of strife, hate, malice, and anger but a successful family isn’t the absence of those but it is the ability to work on yourselves to the point where the hate and arguing between partners the love, emotions, affection, and happiness of the family. Truly the picture painted above of a successful family may never be achievable because of the myth that there can never be a family that is void of strife, anger, and hate because all families they say have their unique challenges. Some families can successfully pretend and hide the challenges they face in their homes from the outside world and make it look like everything is fine but some others may not be able to pretend but crack in the midst of the crises. So in these Secrets of successful family series, I have taken out time to look at some basic secrets that different families at different times needed to work on to have a successful home. One thing I must tell you here is that, truly, a successful family is achievable where there are no strife, anger and hate. The first thing to do here is to clear your mind and be ready to learn, relearn and unlearn some things that people have said about their marriages and partners. In this edition, I am talking about Team Work and how it affects the success or failure of every family. Team Work is work done by an organized division of labour. It is co-operation, pulling together, and regard to the success of the enterprise as a whole rather than personal exploits or achievement. From the above definitions of teamwork, it is obvious that teamwork requires a proper understanding of the task before there can be an effectively organized division of labor. Teamwork is a must for family success because it requires every member of the family to be responsible for the position they hold as the case may be. The husband, Wife, and kids must understand their duty and be committed to ensuring that at all times that they do not stray from the roles they because each part can’t exist solely on its own and the collective success goes to the whole family. Let’s take a look at a flight plan. The husband and wife are like the pilot and co-pilot flying to the same destination. Both of them have the same flight plan and must work together to achieve a safe flight and safe land. If something goes wrong during the flight, both pilots must work hand in hand to ensure that they overcome the challenges otherwise, their fate is fatal if they both decide to work on their own. Even though one of them is called the main pilot and the other a copilot both are important in ensuring that the airplane lands at the desired destination safely. Their roles as pilots are well understood so it is easy to have an organized division of labor which enhances team spirit for the greater good and the greater success of the family. Both pilots become one pilot so also both the husband and the wife must become one in the unity of mind, fate and life if there must be any chance to have a successful family. 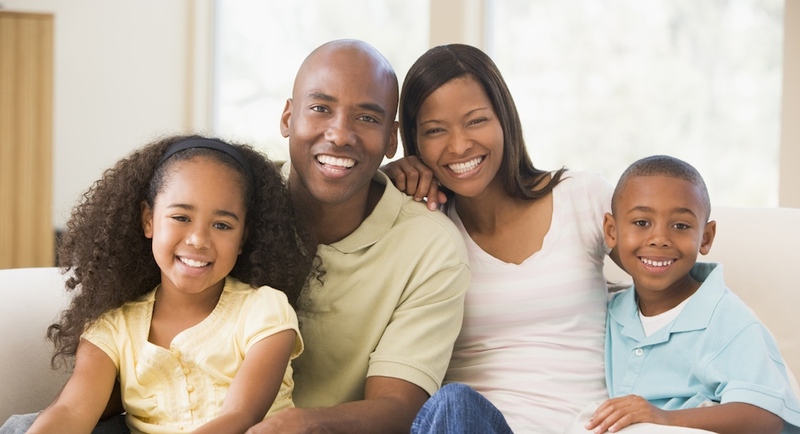 Team Work is one of the many secrets of this successful family series article that every family must practice to achieve the status of a successful family. The Bible principle of unity in mind, heart, and fate is from Matthew 19:6 which reads: they are no longer two but one flesh. Teamwork is vital in achieving the one flesh status. Only a clear-cut vision can be worked on by both partners to achieve one flesh which means oneness of mind, thinking, and culture. Most partners during their courting phase they still hold on to some of their fundamental life principles which are hidden to their partners or partly revealed but it is soon exposed when they get married and begin to live together as husband as a wife. Without team work, team spirit and one flesh, the union or marriage is headed for the rocks. 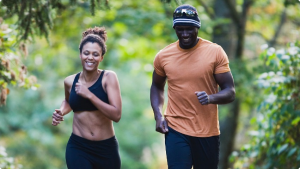 So it is very important that man and woman involved in the relationship must have a clear-cut vision of what is required to have a successful family and work together as a team with each partner committed to ensuring that his or her part is not lacking in concentration or commitment. Because if any partner becomes lackadaisical in being responsible for holding up his or her part of the bargain then the successful family status becomes a shadow to be caught. Remember that marriage isn’t just any solo act but it involves a man and a woman. So, therefore, the husband and the wife must work together to ensure the success of the family. When a marriage fails, it is both the man and the wife that fails likewise the crashing of the plane. Both pilots wouldn’t be spared likewise the people they carry as in the case of a family, the children suffer, their immediate and extended relations suffer and even close friends do suffer also. Marriage isn’t just the union of a man and a woman alone but that of a whole community. When there is a challenge both the partners work hand in hand to defeat the challenge because there is team spirit but when there are no team work or team spirit the husband and the wife attacks and blame each other rather than dealing with the root cause of the challenge. All successful family imbibes team work to defeat obstacles and problems in their marriage and family at large. Team work has the ability to eliminate minor conflicts and major ones as well without involving a third party because both partners know what is expected and have the flight plan in their hearts and would do everything possible to safely land the plan because that is what any successful family will do. Here I tell you that one of the essences of marriage is team work because without team work you have bed mates, roommates or flatmates instead of marriage mate and one flesh. Team work puts the husband and wife on the same when making important decisions and both become responsible for the outcome of the decision they take without blaming each other or one party taking the praise. h parties are involved in the navigation of the marriage to safely land as a successful family. Do the money I earn “belongs to me alone”? If I need to relax, do I need to be away from my spouse? Do I protect and hold some things special which affect me directly? How do I relate with the relatives who are special and close to my spouse? Are there any part(s) in our marriage that we have great team spirit or work as a team? What area(s) can we improve team work? What healthy thing(s) can we do to improve team spirit? Team work is one of the fundamental things that every marriage should have because it is the foundation for building a successful family. Team spirit is the force behind team work and there are healthy exercises or practices that foster team work. Do you say “I” will do this and that instead of “we”? Are you always personalizing things and forgetting that you are two who have become one flesh? Do you come up with ideas that are workable for both of you? Are you concerned about how your spouse would feel if you took certain decisions alone? If you can beat self-centeredness then you will build the right environment that will enhance the growth of your home to be that of a successful family. I read your first article on commitment and I really enjoyed it. I am really grateful to have found this article. I also was amazed at the information in this article. Team work of a truth builds better connection between a man and wife.